French next big time prospect. Has a good all around game for someone his size. Very mobile and project as a long forward at 6-9 with a 7-2 wingspan. Can lead the break, shoot from outside. Was very dominant in youth competition and started to play with the pros at age 15. 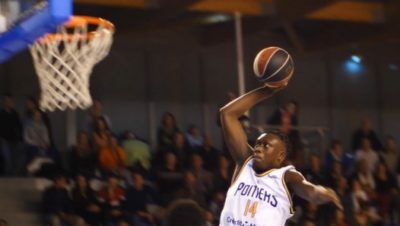 After encouraging debut with the pros last year, has not been able to step up in French Pro B (2nd division). Staying in his comfort zone in an average second division team in France while recruited by top European clubs hasn’t allowed him to improve drastically his skill level and basketball IQ. Lacks focus to reach his full potential. Average shooter with less than 40% FG and less than 30% from three, negative assist to turnover ratio. A bit stuck between both forward position. Must really work on his efficiency not to be a disappointment. May have been too hyped too early.